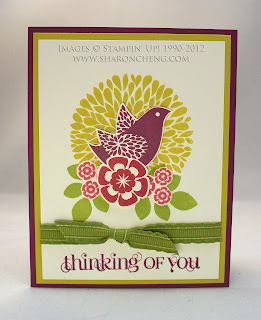 Betsy's Blossoms is one of the popular stamp sets in the new Stampin' Up! catalog. 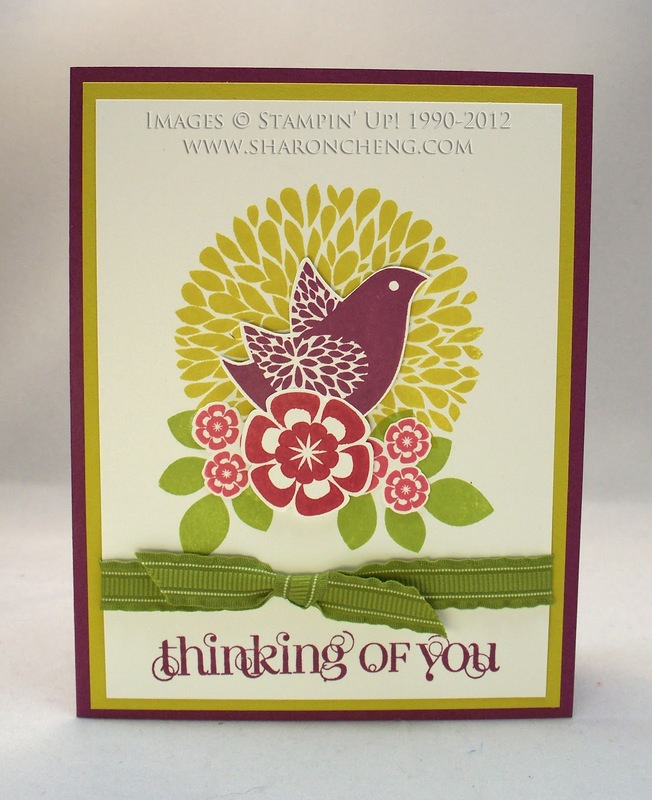 It's a versatile set with a great bird and flowers that you can use as a background or embellishments. 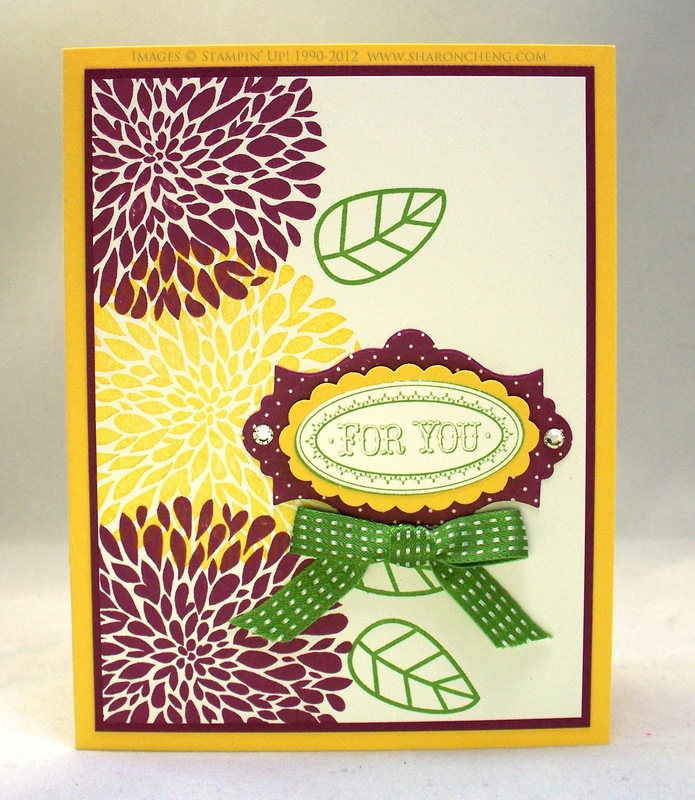 These three cards show different ways that you can use the Betsy's Blossoms stamp set. 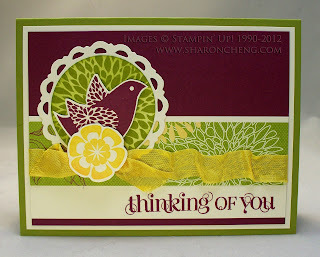 This card was inspired by one that I received in a demonstrator swap. You can see the original card on my Facebook Business Page. 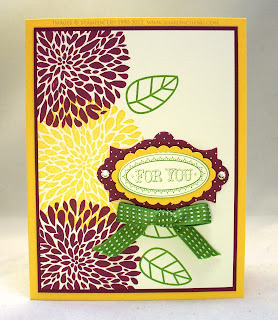 Click here to see Betsy's Blossoms stamp set.